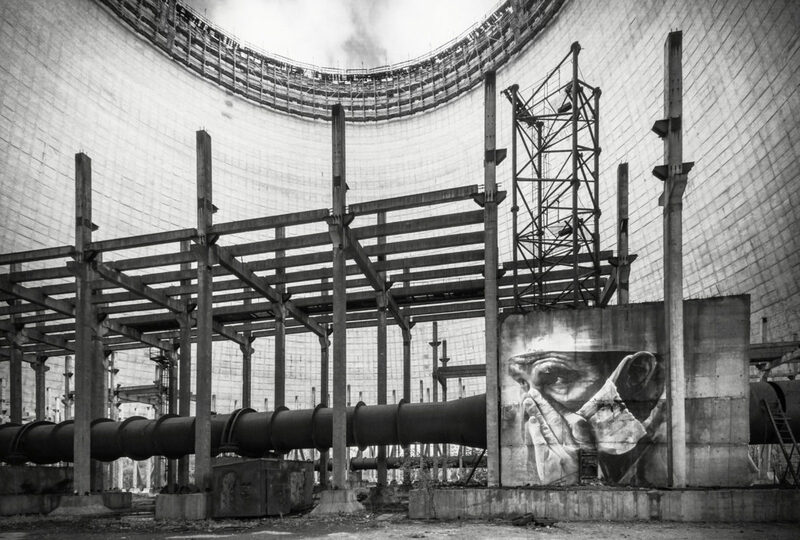 Australian artist Guido van Helton sprayed the haunting mural of a doctor inside the unfinished Reactor 5 cooling tower to mark the 30th anniversary of the nuclear disaster. The mural is intended to raise awareness about the dangers of nuclear energy and honor the work of photojournalist Igor Kostin, who spent years recording the catastrophic explosion. The artwork depicts a photo of a doctor taken by the photojournalist at the time of the accident.